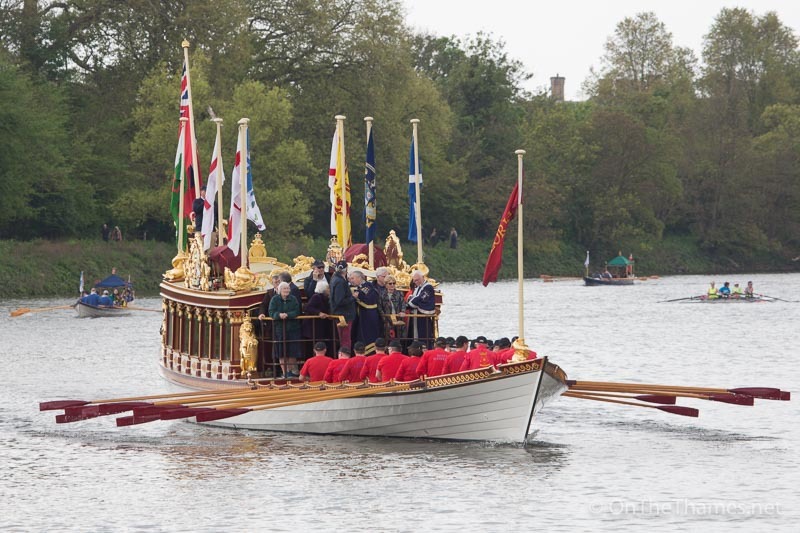 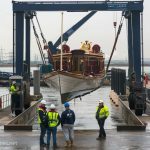 The Queen's Row Barge Gloriana once again provided a dose of colourful and regal pagentry on the River Thames on Sunday as she led a flotilla of traditional Thames cutters up the river in the "Tudor Pull". 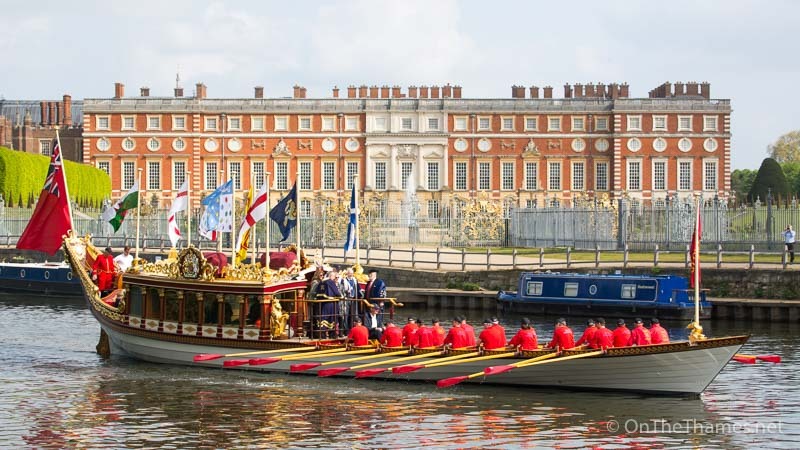 While runners pounded the streets of the capital in the London Marathon, the Royal Watermen took on a St George's Day marathon challenge of their own with the 25 mile row from Hampton Court Palace to the Tower of London. 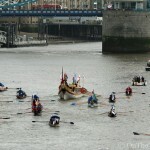 The annual ceremonial event sees a Stela - a piece of wooden water pipe - transported between the royal palaces and delivered into the hands of the Governor of the Tower of London. 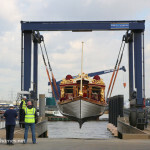 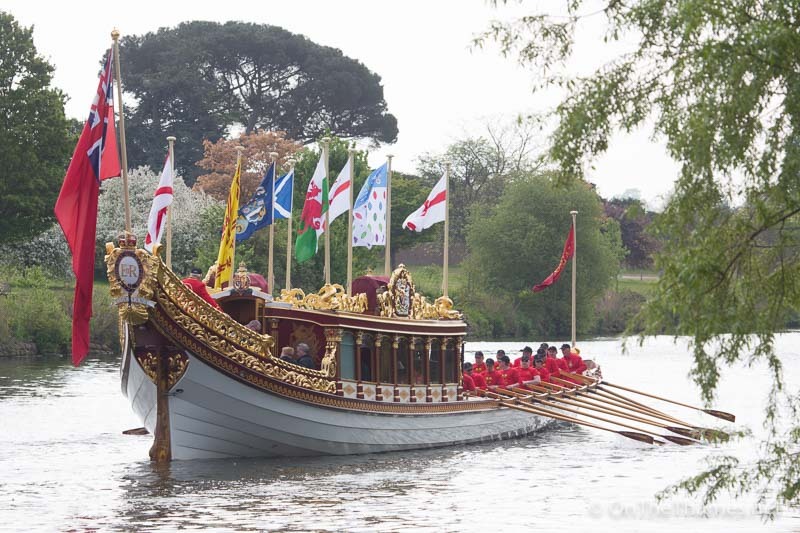 Gloriana departed Hampton Court Palace at 10.30am on Sunday morning in beautiful sunshine. 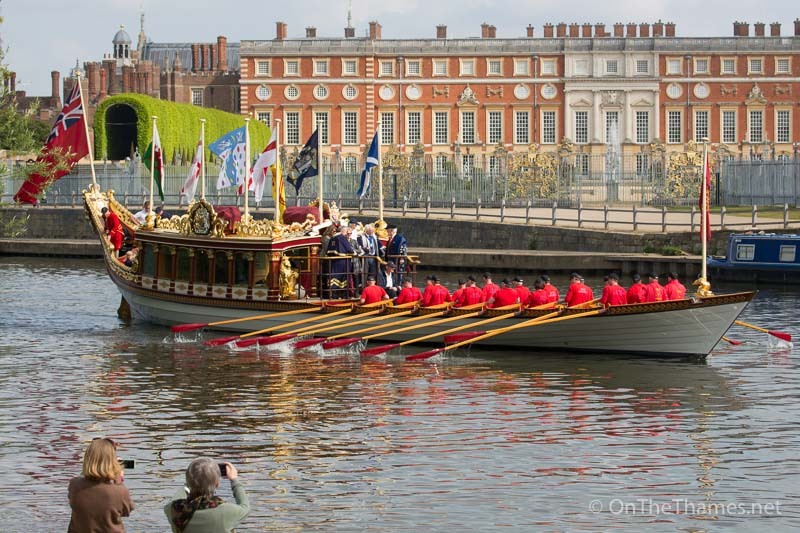 Our photo of Gloriana at Hampton Court Palace was featured in today's edition of The Times. 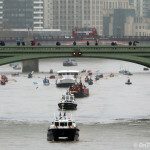 The flags of the home nations are among those which are flown from the barge. 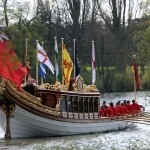 Some of the traditional cutters travelling behind are seen here as Gloriana passes Petersham Meadows. 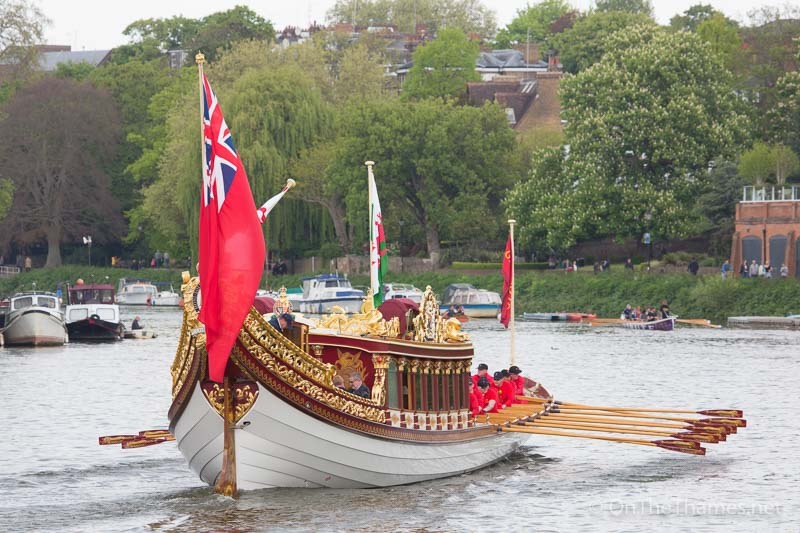 Gloriana approaches Richmond upon Thames where a short break was enjoyed before continuing on the journey into central London.